The astronomical aspect of Apocalypse stayed hidden for centuries. 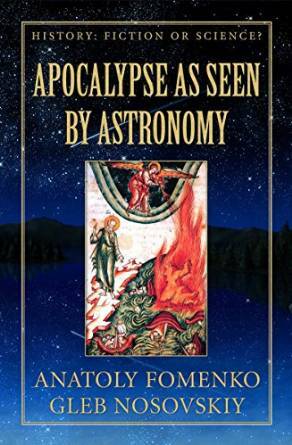 'The Apocalypse as seen by Astronomy' has resurrected the astrological, i.e; astronomical ideas contained in The Apocalypse and extracted from it the precise date of its composition on the Isle of Patmos! St Augustin was quite right saying; "..beware of mathematicians, especialy when they speak the truth! "The Apocalypse - The Book of Revelation is the only apocalyptic document in the New Testament . It does not refer to actual people or events, but is an allegory of the spiritual path and the ongoing struggle between good and evil, but containg nevertheless clues relative to its composition. An enourmous body of learned research, centuries of heated discussions by different clerical schools about the origins, time and place of writing of The Revelations of St John has literally buried precious bits of verifiable data.